Looking for Mortgage Note Buyers In Florida; what qualities should I look for? Holding a real estate note and looking for Mortgage Note Buyers in Florida? Pondering which mortgage note buyer to work with, how to find him/her, and what to look for when selling your mortgage note? 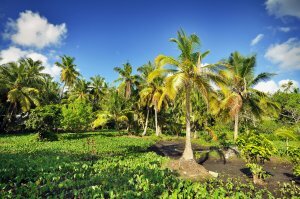 Here are four top qualities you should look for in Florida mortgage note buyers. You want a note buyer with know-how and who wants to help you. His/her knowledge and experience will be a helpful guide for you in understanding your options in selling your note. An experienced note buyer will be able to look at your situation and explain all of the possibilities available to you. Even if he/she doesn’t purchase your note, the knowledge you gain will be extremely helpful as you move forward. All private mortgage note buyers had to start somewhere so that’s not to say that you should avoid a note buyer with no experience… but if all else is equal, you’ll probably want to work someone with proficiency and knowledge gained over the years. #2. How has the Note Buyer treated his previous clients? Check out the Florida mortgage note buyer’s testimonials. What do other customers say about this mortgage investor? Was that note buyer easy or difficult to work with? Would that customer do business with that note buyer again? Was the note purchase handled quickly and efficiently? Was the note seller pleased with the entire transaction. See what other Note sellers have had to say about us. One of the most important things to learn when you’re figuring out what to look for in mortgage note buyers in Florida is a clear cut process, a step-by-step method that the note investor has completely laid out and explained to you. A transparent process tells you that the note buyer has experience, has perfected his/her system, has an emphasis on efficiency, and is very interested in helping you. A clear, detailed and understood method will help you know exactly what you need to do and if the note buyer is more concerned about helping you or helping himself. The most important thing to look for in mortgage note buyers in Florida is harmony with you. 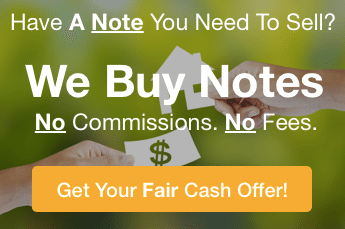 Different note buyers are motivated and guided by different things: some might want a highly profitable note purchase; others might only buy notes with payers with great credit scores; others might only buy mortgage notes on certain kinds of property. Make sure you deal with a note buyer who has the willingness and desire to put you first in the transaction. It’s all good – but you need to find a mortgage investor who is “lined-up” with your goals and the parameters of the mortgage note you are holding. When you find that note buyer, you’ll discover that it’s so much easier to work with him (than with someone who is not aligned with your goals and mortgage note). Want to find out if we’re a good fit to work with you? Click here and fill out the simple form and we’ll be in touch to share with you how we’ll work with you to get you the most value out of your real estate note. You can also call our team at (772) 232-2383.